Green Label Plus, a voluntary industry testing program for carpet and adhesive products, establishes the highest standard for indoor air quality (IAQ) ever set by the carpet industry. The Carpet and Rug Institute (CRI) created Green Label Plus to identify carpets and adhesives that are tested by an independent, certified laboratory and meet stringent criteria for low chemical emissions. There is a growing demand to make indoor environments as healthy and "green-friendly" as possible. Choosing the right materials is a critical step. To assist in the process, CRI has added Green Label Plus for carpet and adhesives to its well-established Green Label program. Green Label ensures customers they are purchasing among the lowest emitting carpet, adhesive and cushion products on the market. Green Label Plus is designeed for architects, builders, specifiers and facility managers who want assurances that carpet and adhesive products meet the most stringent criteria for low chemical emissions. All of Shaw's residential and commercial carpets meet the Green Label Plus standard. 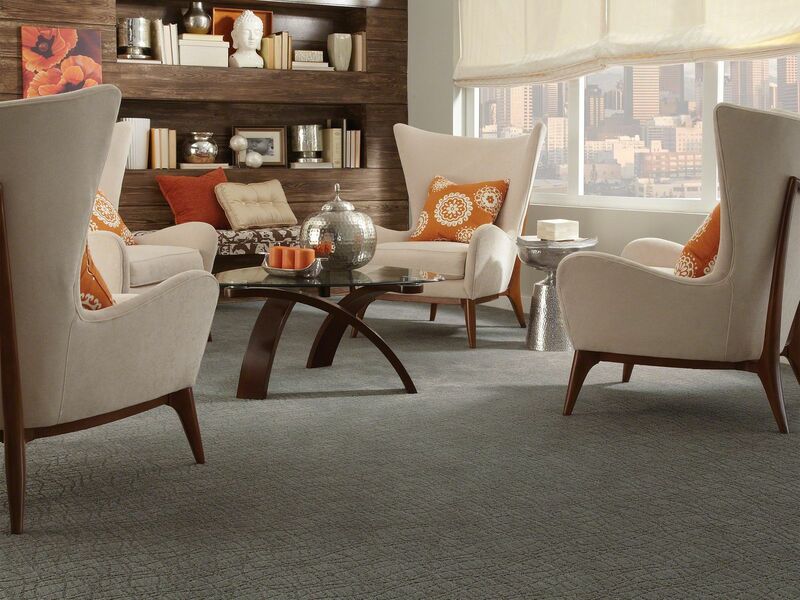 Browse Green Label Plus carpets. Green Label Plus meets, and even exceeds, California's indoor quality standards for low-emitting products used in commercial settings such as schools and office buildings. Working in cooperation with California's Sustainable Building Task Force and the Department of Health Services, Indoor Air Quality Section, the carpet industry voluntarily enhanced its Green Label program for carpet and adhesives to meet testing protocols used by the Collaborative for High Performance Schools (CHPS). Commercial carpet and adhesives that meet the criteria for Green Label Plus are listed on both the CRI and CHPS websites. There are four basic fibers that are used to manufacture carpets today, and they all have unique qualities and strengths. Better still, they all make excellent carpets. How do you choose? Are they both real wood? Get the inside scoop.